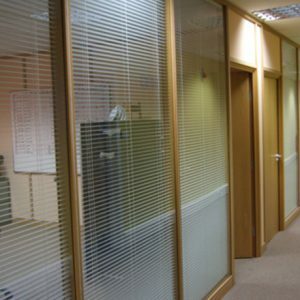 Mezzanine floors are a brilliant alternative to having to move office if in need of more space. The word mezzanine means middle which is why it suits this type of flooring perfectly. A sort of balcony or intermediate floor located between the main floors of the building, a mezzanine floor gives you additional space by simply adding an upper level to your office. This type of flooring generally projects out from the wall but does not fully close off the ceiling from the lower level. Basically to the levels share the same ceiling. Mezzanines are generally located on the ground floor however it is not uncommon to find one located on higher levels of a building. 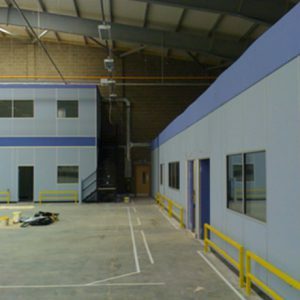 Mezzanine floors are generally free standing and can be dismantled to be moved or relocated. There are however options to have them fitted in permanently as a fixture of the room itself. They are usually constructed from three main materials including steel, aluminium and fiberglass. The flooring however may vary in materials depending on the nature of the structure. 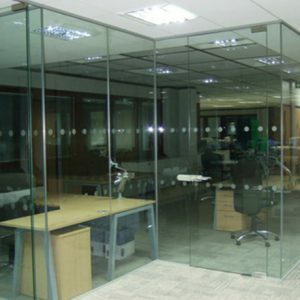 For a mezzanine to work the building in which you want it should ideally have high ceilings. The likes of shops and office building therefore work well. Warehouses are also a popular place for such structures as they tend to store a lot of products. Used for many different reasons, some of them outlined below. Businesses are busy environments that are full of people, machinery and equipment. With so much to go into one building there are often those that struggle with storage space. Mezzanines are therefore a fantastic option for giving you the space you need to store stock, spare equipment, paper and much more. The mezzanine can be built to meet your needs and expectations ensuring that you have all the space you need. Your business may have started off fairly small but if it has grown is size you may find it difficult to house the staff required. If moving office isn’t an option again the mezzanine could be for you. Strong enough and big enough to hold workstations, office furniture and employees so that your business can grow even further. Mezzanines are sometimes also found in the likes of train or metro stations. They are usually situated between the platform and the entry elevations. These platforms are mostly used for buying tickets or for information desks. They can however also be used as access to other platforms.